MoistTech Corp. IR3000 sensor for wood shavings AKA green wood shavings; moisture control in wood products is critical to produce a quality product. MoistTech presents moisture measurements for a selection of different materials. MoistTech IR3000 Industrial Moisture Sensor connected to a pipeline gauging sludge … even sludge needs moisture measurement! 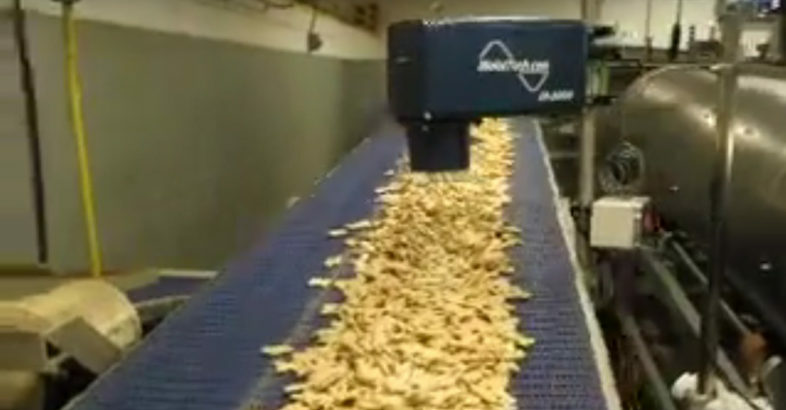 MoistTech Corp. supplies a food grade sensor for the snacking industry that never comes in contact with the food and can be washed down each night. Moisture content in food is crucial for quality products! Our MoistTech IR3000 series sensors can measure moisture in anything… even cat litter! After all, a quality product is king!